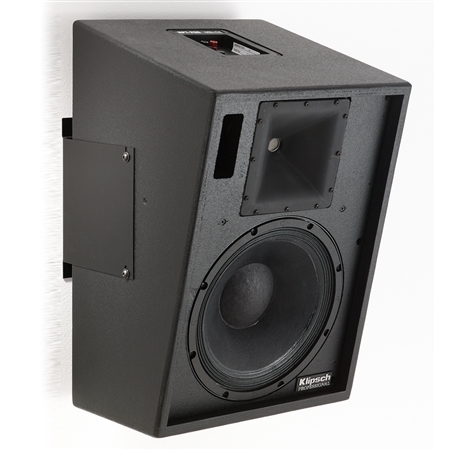 THX®-Approved the KPT-200 is a 12-inch two-way cinema surround loudspeaker system that delivers extended bass response controlled coverage and standard SMPTE/ISO 2696 X-curve de-emphasis. With its 15° down-firing angle the KPT-200 accurately reproduces the extended dynamic range demanded by digital sound formats. It features a single high-output 12-inch woofer and 1.5-inch titanium compression driver coupled to a 100° x 100° Tractrix® Horn as well as a high-frequency protection circuit. The enclosure is pre-drilled for industry standard mounting brackets.